Grade 1 students made these potted sunflowers to celebrate the beginning of Spring. 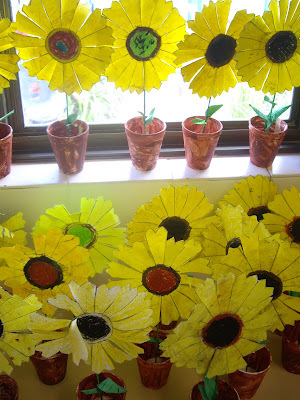 Plant pots are paper cups painted brown, a kebab skewer was painted green for the stem and the sunflowers were coloured and cut out from a template I created. 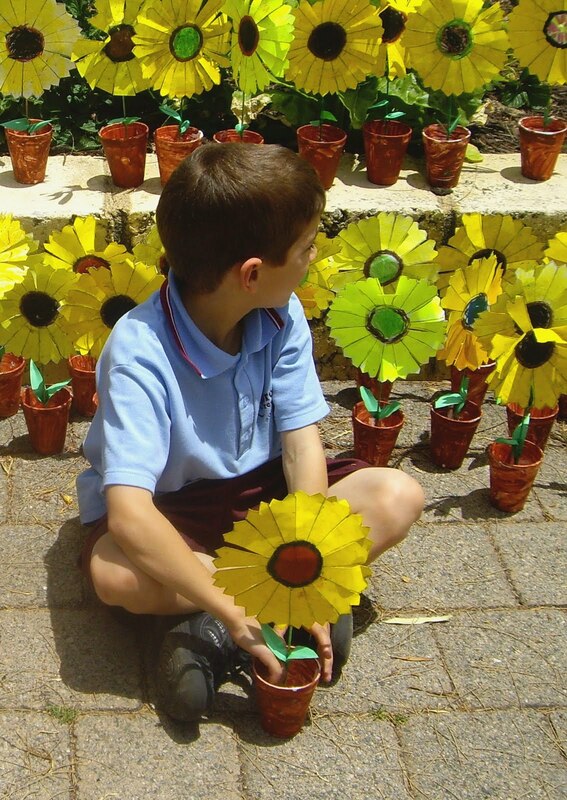 I poured a little plaster into each cup to it weigh down and to plant the flowers in. 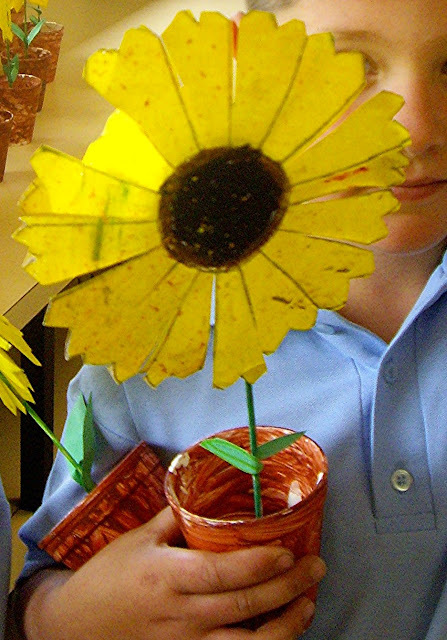 Students made leaves from scraps of green card and glued to the stem.